I’ll start by saying that I discovered these pearls through a good deal of trial and error, and I’m publishing them in hopes of streamlining my fellow author’s journey. Solid ground tends to crumble if you stand on it too long. This is what worked for me this year, but it will change. Let me know if you have something to add or thoughts on the list. I hope this helps. Writers are dreamers who adapt. Design a Cover in Your Mind. A great cover can inspire your imagination and provide validation for what you’re doing. Also, your reader will never know what a wonderful storyteller you are if you can’t hook them with some eye-candy. Now, here’s the hard part – Don’t buy the cover until the book’s done. Visualization is a powerful tool, but stories have a way of mutating. You don’t want to put a romance cover on your groundbreaking murder/mystery. Design your own – DYI – if you go to iStock or Shutterstock, you can find some fantastic images and Amazon’s self-publishing programs will help transform them into respectable covers. You can buy one for about $50 from GoOnWrite or several other sites. For a custom made cover (well-worth it) I would suggest –ExtendedImagery. Edit. I’d like to say editing goes without saying, but it doesn’t. Even when you think you’re done, you’re not. Then, when you’re sick of it, you’re not done. When all you want to do is burn the thing and give up on the craft, you’re getting close. Have friends or family read it, read it out loud in the car, run it through a program like grammarly, walk away and come back several weeks later with a fresh set of eyes. You’ve got one chance to hook a reader, and they won’t come back if you’ve put out something with typos or a sloppy plot. Format. If you upload your document onto Amazon as a word document, it will look fine, but your reader’s eye will quickly pick up on the misaligned paragraphs and indents. ISBN Bowker -$150 – 300. I would suggest buying these early if you’re going to self-publish. You don’t need to use the code until you’re ready, but it’s one less step you have to do later. What I didn’t understand initially was that you need a different ISBN for each of the formats you plan to sell your work under – i.e. one for e-book, print, and audiobook. Also, some publishers will not let you use the same ISBN for your e-book/paperback/hardcover with them as you did with another group – say Barnes & Noble vs. Ingram Spark (You’ll keep getting error messages, or you’ll be told the ISBN is already in use). 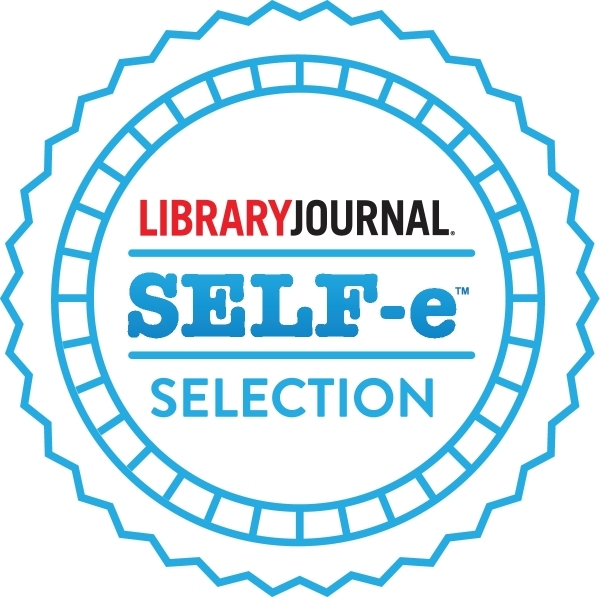 The work around for me was using different ISBN’s for each group (more cost less hassle). Remember, the ISBN is the information that pops up when your barcode gets scanned so to associate your book with the ISBN on their website you’ll need to know your format, price, and page count. Having an ISBN allows you to sell to bink and mortar stores and libraries. I haven’t found a use for the barcode they sell with the ISBN, but I would suggest buying the ten-pack of ISBN’s for the best price. Publishing. I started with Amazon Kindle and then moved onto Barnes & Noble Nook, Kobo, iTunes, and finally Ingram Spark. In the future, I’ll try doing it the other way around as Ingram Spark’s prices for author copies are less than B & N. Amazon, as far as I know, makes you pay full price (whatever price you set) for copies of your book (you get some back as “profit” but so do they). Ingram spark publications show up on Amazon – FYI and I’ve found their hardcover and paperback quality to be better than either B & N or Amazon. Ingram also has a wider reach for distribution and allows libraries to see and buy you. I would suggest allowing bookstores and others to send back copies they don’t sell; as it is unlikely they’ll buy a single copy if they can’t return it. Learn. It’s a slow process, and it takes away from your writing time, but it is important to keep on learning. The Creative Penn (Especially Joanna’s blog) are excellent and inspiring tools. 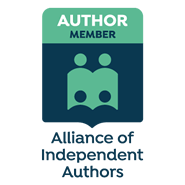 The Alliance of Independent Authors (ALLi) and Kobo writing life are also great resources. Marketing. This is one of the hardest things for me and, I think, for most authors. I don’t like technology as a whole, and I’m a bit of an introvert so reaching out is a challenge. Still and the same, it is a part of the process, and you may find you’re better at it than you thought. Join Goodreads and participate on discussions and review (actual text review) books you’ve read. This helps to narrow down both authors and readers who share your interests. Start a website and post on a semi regular basis. Try to make your posts useful to others – I’m trying to do more of this and not just self-promotion. Start to develop a mailing list that is independent of groups like Amazon – they do help you get followers (especially when you run giveaways), but they own the names and contacts. To stay in control, you need those names and addresses. I’m starting to learn Mail Chimp, but there are other choices. On amazon, you can run giveaways on books by authors who have readers similar to the one’s you want and have them follow you to join. This helps increase your reach and narrow down your audience. Give away your books in the same way once you have them finished. When you publish your next book, Amazon will send these followers a notice. Amazon Select. They release e-book versions of your novel for five days for free. This helps to increase your readership. It’s nice to see how many people download copies. May sure the back and front pages of your book have links to your other works or webpage. The downside is they have your title hostage for the next three months and you can’t distribute it with other groups until this period is over (warning: it automatically renews for another three months after you sign up unless you open the file after you’ve joined and say you don’t want to renew). Initially, I thought this was a great deal. Now, I wonder that the number of downloads I’ve had verses the number of actual page reads doesn’t match up i.e., there maybe a lot of bots out there enjoying my digital copies. Amazon and Facebook marketing. If you’re selective in your choices when you decide what keywords you want to promote, I think this does help, but I have not seen a fair exchange in cost vs. sales so not sure it’s worth the money. Reviews I don’t think I did this one very well. As excited as you are to get your book out there for people to read, take the time make ARC copies, media sheets, set a release date, and put up the reviews you get before the public can read your book. Two useful websites for this were Mid West Book Reviews and Michel Sauret. Research people who may be interested in your book on Goodreads and Amazon by seeing what types of books they’ve reviewed in the past. Reach out to them to see if they would be interested in a free copy – iTunes gives you 250 free e-book codes when you publish with them. You can get a gift e-book copy code from Amazon. ACX for audiobooks offers you 25 free download copies if you request it once you’ve published. Offer codes as incentives for possible reviews. Audiobook I’ve been happy with ACX. Once you have a published book, you can sign up and associate the book with your account. Then you can put out a short three minute read request and description of the material, the cost you expect to pay per finished hour PFH, and wait for the audition tapes to roll into your account. The level of skill and interest were fantastic. There are those that would suggest doing this process outside of ACX as you do get locked into their contract but I haven’t been disappointed. Innovate Try not to get locked into one way of doing things. 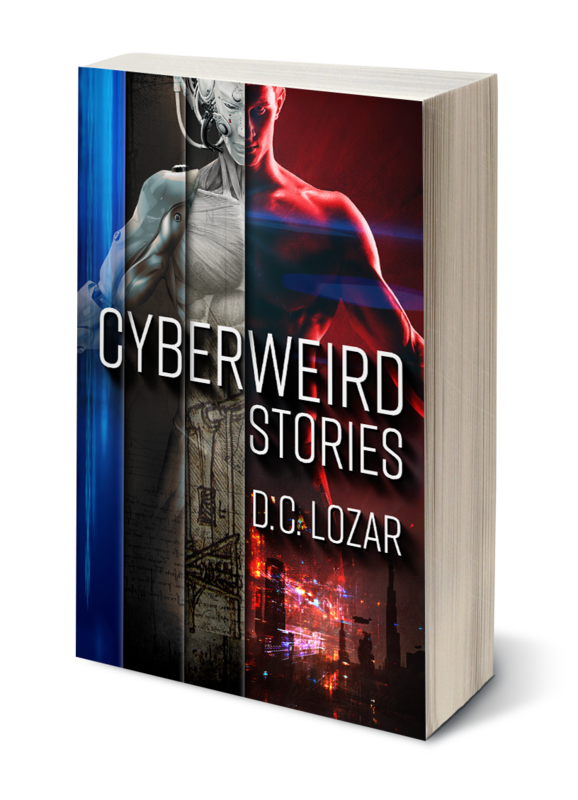 I enjoy short stories and publishing a few of them as individual titles have given me the freedom to experiment with different formats and marketing, things I would have hesitated to do if I only had one title. Experiment with rewriting your story as a stage play or screenplay. Consider serializing it on your blog. Ask your local independent bookstore if they have new author signings. Mysterious Galaxy in my neck of the woods is fantastic about this. Please note that I’m as new at this as many of you and my tips are what worked for me. Take what you can from it, keep writing, and let me know if you have suggestions. Writers are readers, readers are people, and people do their best when they work together. We are on the cusp of a new age of storytelling, and we have an opportunity to make the future amazing. If you enjoyed this, please let me know. Make suggestions, follow me at DCLozar.com and join my mailing list for future posts and recommendations. Thank you for your support. Best tip I can give anyone wanting to be a self publisher – Go to the Kboards Writers’ Cafe and learn how the people who are making real money are doing it. Thanks for the suggestion. I’ll check it out. Dave. Thanks for the re post – and for the suggestion: KBoards is interesting. I’m putting together a signature and banner now. Best, Dave. Check out this great post from D.C. Lozar’s blog with some great self-publishing tips. Thanks very much for the reblog. I’m glad you liked it. Hope it helps. Dave.